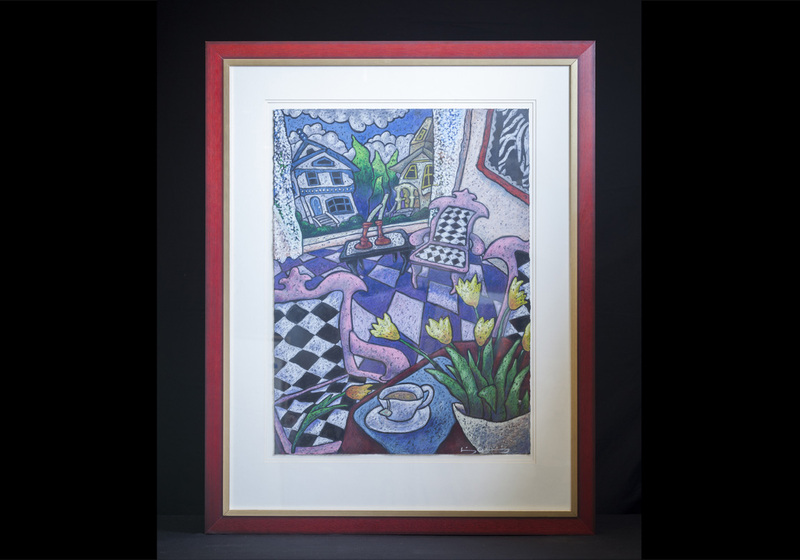 Liz Collins, “untitled” Craypes oil pastel, signed, 43″x34″. Whimsical, colorful perspective of room with checks and melting candles. Award winning Sausalito and Denver’s Cherry Creek Art Festivals Artist.